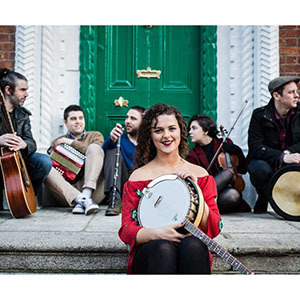 Traditional Irish music, song and dance comes to the Wayne Theatre on Friday, Feb. 17, with The Young Irelanders. The eight-member troupe has performed for three U.S. presidents, the Queen of England, Prince Albert of Monaco and several heads of state. “It sometimes disheartens me when audiences outside of Ireland don’t get a chance to see and hear what our Irish culture is really about but are instead fed a derivative of the real thing,” said Young Irelanders producer Eric Cunningham. The Wayne Theatre is a natural stop for the troupe on its four-month North America tour. The Shenandoah Valley has deep Scots-Irish roots dating back to the first settlement of the Valley of Virginia in the early 18th century. “We’re thrilled to have this talented group of performers here to bring a slice of authentic Irish culture to the stage at the Wayne,” said Tracy Straight, the executive director of the Wayne Theatre. The Feb. 17 show begins at 7:30 p.m. Tickets are $25 for adults or $15 for students.